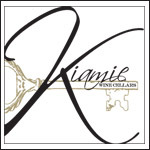 Kiamie Wine Cellars is a collaboration between two guys with diverse, yet complementary backgrounds that came together to reach their dream of developing a fine California winery. Aram and Greg share a vision: to create truly distinctive blends not limited to a predefined wine style, but instead made from the best fruit Paso Robles has to offer, distinctively from the Westside Paso Robles mountain vineyards. This is achieved at the hands of our phenomenal winemaker, Adam Bauman. He works to produce age worthy, high quality wines sourced from the best West Side vineyards. Letting the wines make themselves, being merely a "steward" or "conduit", utilizing both old world and modern winemaking techniques depending on the circumstances. Delastage is crucial to the Bordeaux program at Kiamie and clunky tannins are not part of our portfolio. Our wine blends change each year after precise construction, with the components of each decided upon by our Winemaker, Adam Bauman based on his years of experience. Meritage – A Cabernet Sauvignon based blend, well-structured to form a rich and traditional Bordeaux-style blend. 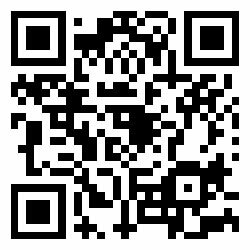 Kiamie Kuvee – Our flagship wine, blended from the finest lots to produce a wine true of distinction. White Kuvee – This wine is consistently bright and floral in character, comprised of grapes found exclusively in the Adelaida District of Paso Robles.